We buy platinum of any type here at Gold & Silver of Louisiana. 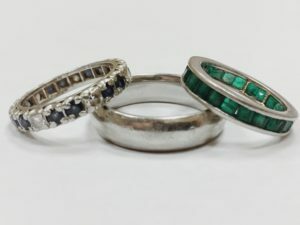 Many of our clients in Covington and Mandeville sell platinum jewelry, but we also serve clients who use platinum in industrial forms as well as an investment. Platinum is sought after because it’s highly lustrous and corrosion resistant. The metal is frequently used in industrial temperature reading devices, in medical catheter tips, electrical contacts, and catalytic converters. There is no greater place to sell platinum in St. Tammany Parish than Gold & Silver of Louisiana. We take pride in providing an accurate analysis and valuation of your platinum items. 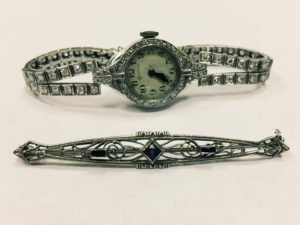 Our professional staff of precious metal buyers will be happy to assist you with any questions and provide a free evaluation to get you top dollar for your items. Whether your platinum is in the form of coins, used or scrap jewelry, bullion bars, or thermocouples and other industrial components, we are ready and equipped to serve you. In addition to buying platinum, we also sell platinum jewelry and coins! From rings to brooches and bracelets, we can help assist you with your platinum jewelry.